Queen Jadis is a evil witch that is trying to destroy anything that's nice and non-evil.And she is trying to rule Narnia because her land ,Charn, has been destroyed because there was a war between Jadis and her sister(her sister's name is still unknown) and she had no power left so Jadis used the Deplorable Word. So that's why she's evil and why she wants to rule Narnia. 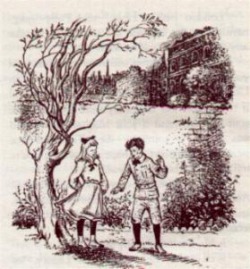 Digory and Polly met when Polly went to the front yard and saw a strange,dirty boy,which was Digory, saw each other through a little hole in the gate. After just talking and looking at each other, they were able to get along really great. After their adventures and wild actions. It seemed like a never ending friendship. Aslan the strongest sorce of magic is in him. The great lion controls Narnia. He created Narnia. He is the true ruler of this extraordinary place. He knows what the witch does. He can see eveything in Narnia at once. Look at his great stance. If you remember this background is when Aslan sacrifices himself and comes alive by his deep magic. You seen him he can come alive. 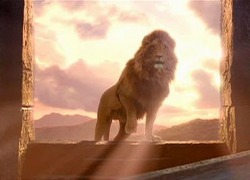 Remember Aslan started everything and made Narnia by singing. 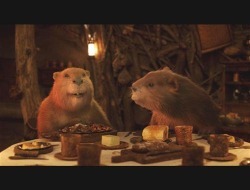 The Beavers are the animals that helped the children from tje freezing storm and also guided them to Cair Paravel to see Aslan. They were a very big help to kids because they did a lot for them. Mr.Tumnus is a faun who is working for the White Witch. His orders fromher was supposed to steal the daughter of Eve (Lucy) and bring her back to her. But Mr.Tumnus confessed the plan to Lucy when they were having tea.Later on,he gets turned to stone and his hooves got cut off because of Edwand. But in the end,he stopped working for the Witch and helped the kids fix the damage of Narnia which the Witch did.